Crema | Zonyxa. Unique and contemporary jewellery for Work. Love. Play. 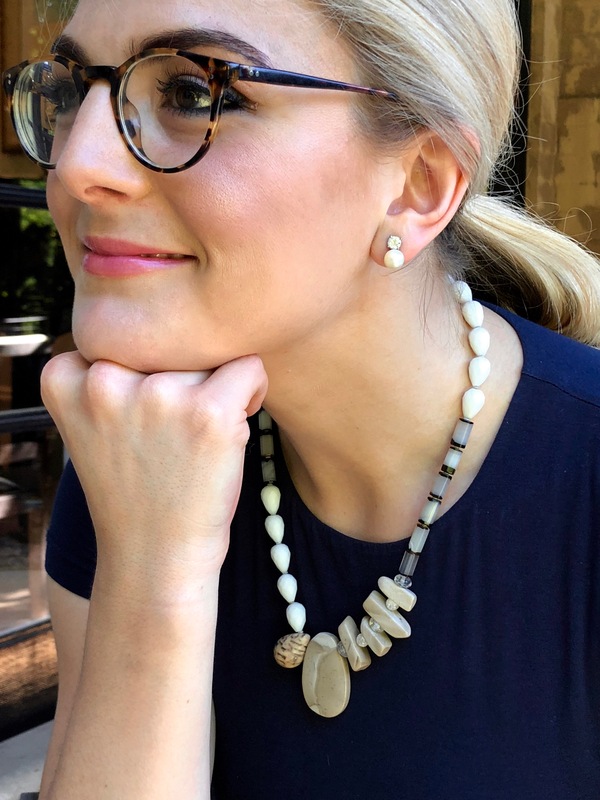 This piece features faceted teardrops of white agate, smooth black and white agate rectangles, and crazed ice quartz roundels incorporated between four pieces of free-formed flint. The result is a truly exotic look. 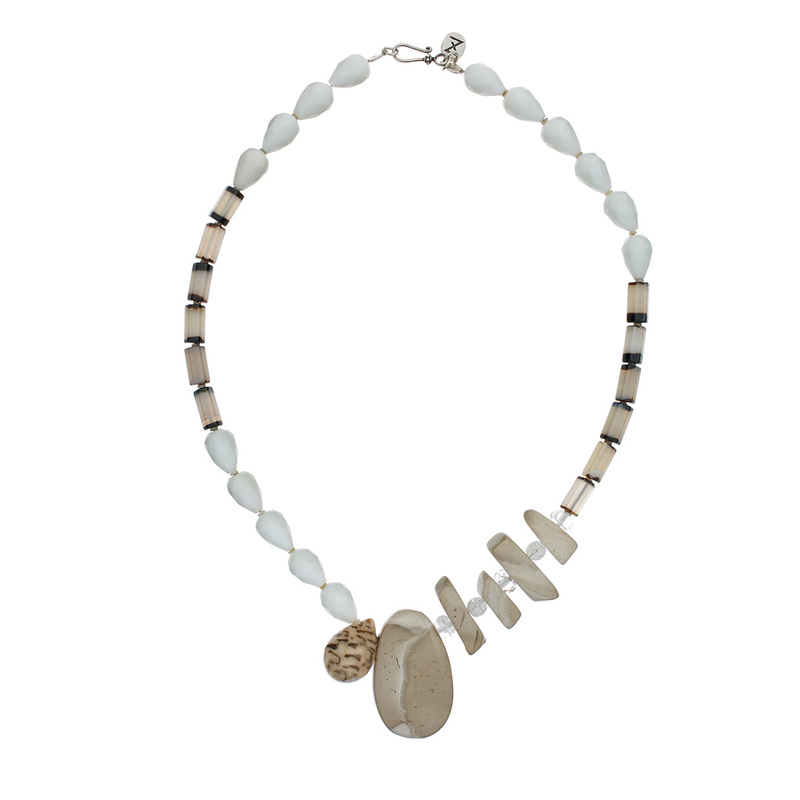 The centerpiece a grey-cream flint pendant complimented by a teardrop of agate on one side. The name Crema relates to both the colour and how smooth and cool.